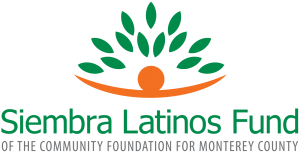 A new philanthropic initiative, The Siembra Latinos Fund (SLF) has been created by a group of local Latino leaders to empower the Latino community in Monterey County. The fund is focused on creating change now and investing in the future well-being of Latino residents throughout Monterey County. 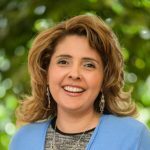 Siembra means “to sow,” and the goal of fund organizers is to grow opportunity for Latino residents by inspiring philanthropy and guiding community grantmaking. 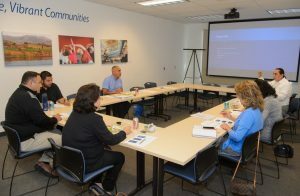 A local advisory board provides oversight, sets grantmaking priorities, and raises funds to grant to nonprofits serving Latino residents. 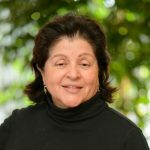 The advisory board members are: Blanca E. Zarazua, Esq. (Chair), Jose Luis Alvarado, Ph.D., Chris Barrera, Ida López Chan, Elsa Mendoza Jimenez, Erica Padilla-Chávez, Frank Ramírez, Daniel Rodríguez and Raúl Rodríguez. Siembra Latinos Fund grantmaking priorities are health, human services, arts, safety, community development and education for Latinos throughout Monterey County. $50,000 has been contributed through April, 2018 and the first grants will be made in 2018. The goal is to make grants now and build an endowment for the future. All potential grants will be reviewed by the SLF advisory board. A total of $20,000 is available to grant in 2018. Nonprofits may apply by the 5 p.m. deadline on Friday, June 15, 2018. Grants will support programs that help Latino children and youth reach their full potential, improve the physical and mental health of individuals and families, enhance community environments, build community and economic security, broaden and deepen participation in artistic experiences and help with basic needs of vulnerable individuals. All potential grants will be reviewed by the SLF advisory board. Visit the link for grant guidelines and more information. Individuals, families and businesses can contribute to the fund directly online or by check, through employee matching gift programs or through estate gifts. According to the United States Census Bureau, Latinos made up 58.3% of Monterey County’s population in 2016. The Siembra Latinos Fund is one of ten members of the National Latino Funds Alliance, and one of less than twenty in the country. To learn more about the Siembra Latinos Fund and how to give go to: www.cfmco.org/SLF. The SLF is an affiliate fund of the Community Foundation for Monterey County (CFMC). The CFMC provides financial stewardship, administrative support and the services of a fully accredited community foundation that is held to rigorous National Standards.